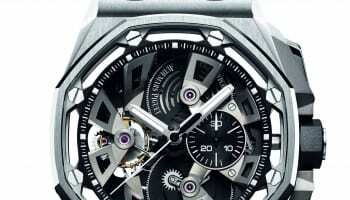 Audemars Piguet has unveiled a custom-tailored private jet advertising campaign for the second year running, with its brand logo and imagery of its timepieces decorating the exterior and interior of New York City’s East 34th Street Heliport. 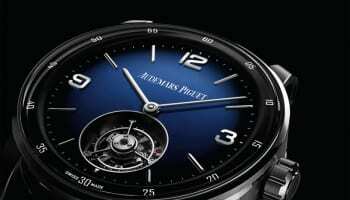 The Swiss watchmaker has partnered with Roaring Thunder Media for the campaign. 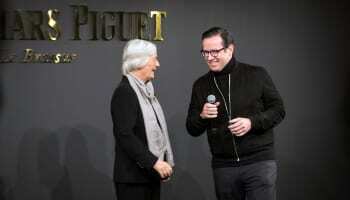 Audemars Piguet vice-president of marketing Frederick Martel said: "As a company we continually look for brand positioning that precisely targets our well travelled clientele. 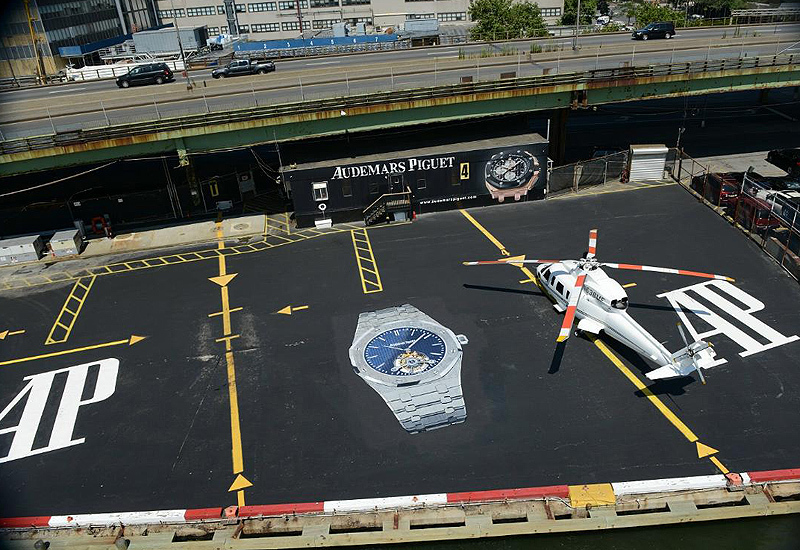 “We know for certain that anyone flying in and out of the 34th Street Heliport is a potential client, so we consider ourselves extremely fortunate to find such a strategic and exclusive location in the heart of New York City." 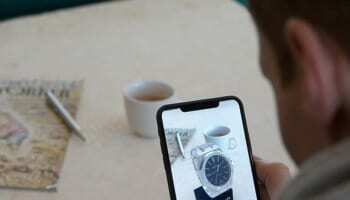 The campaign features tarmac signage on five heliport bays, three brand logos and images of the Extra-Thin Royal Oak tourbillon in stainless steel, and the Royal Oak Chronograph in rose gold that commemorate the design for its 40th anniversary.